A Zebra, of course! What else could it be? I think this was the Nashville Zoo. I admit it. It's a zinger previously written...I hope you enjoy it anyway and you don't end up zzzzz-ing. As soon as my alarm went off this morning, I zipped out of bed! I didn’t bother with the snooze button even once because I needed to get a jump start on my day. My project needed a few finishing touches, and I needed to zero in on the best way to stop the new guy, Zachary, who has been zigzagging his way around my ideas, from presenting them to the boss as his own. It’s my plan to make sure I’m one-up on him today, and by the time we reach the meeting later this morning, Zach will have zilch to show for his zestful attempts to take credit for my hard work. Stepping outside, I noticed the sun dancing on the dew like a cubic zirconium with a zillion sparkles covering the lawn like a zealous lover attempting to propose. I was sure it was going to a great day! And indeed, the morning was going fairly well; I was zooming around pulling things together before our meeting, when suddenly, I slipped on a slice of zucchini someone dropped on the sidewalk. Ain’t that a zinger? In the cartoons, it's always a banana peel…for me, it’s a green-peeled vegetable! Just one more reason to steer clear of all things green. As I gathered my things up that were scattered about the sidewalk, I realized I had a small rip in my pants. When I finally made it to the office, I noticed that Zach’s shirt was an unattractive zebra print, and with any luck his attire would stand out more than my tiny rip in the..ah…rear zone of my khakis. As the meeting progressed, Zach was talking non-stop in a jazzed-up nervous jabber, and I began to feel like a zoo keeper in a circus! Yes, that’s what I said; it was a cross between a zoo and a circus in that room, a zircus, if you will, and I finally had enough. I zapped Zach in mid-sentence, and tried to zero in on the one reason we were meeting, which was to zestfully approach the best way to land the Zingerman account, and the person who had the strongest campaign would land this account…and I wanted that commission! However, our boss, Zeb, suddenly informed us that he was going to take charge of the Zingerman account, and he would present the best assignment himself. Zachary was so white, one could have mistakenly thought zinc oxide was on his face. Zeb asked me to present my ideas first, and I have to say there was a moment that I felt my designs were surely superior, and Zach was just wasting his time. After presenting my project with no small amount of zeal, I sat back to watch Zach pale in comparison. It was his first time pitching ideas to Zeb, after all, and he did look as if he were ready to toss his cookies. Imagine my surprise when I actually liked Zach’s presentation, which was more of a compliment to my own ideas than direct competition. It occurred to me that all of Zach’s zigzagging may have actually been a zany attempt of the new guy trying to learn rather than trying to steal. Perhaps I’m a little too cynical. I was even a little apologetic for mentally accusing him of throwing the dreadful sliced zucchini down that caused my zip-up on the sidewalk. Of course, the apology was as mental as the accusation. I finally came to my senses and suggested to Zeb that he combine both projects and present them to the Zingerman group, and he thought that was the best way to go, as well. Now I’m just worn out, mentally and physically. On the next big project, I think I’ll spend less time keeping my ideas from Zach, and more time utilizing his energy to help make a pretty dynamic presentation. In other words, I’m going to join the zircus. 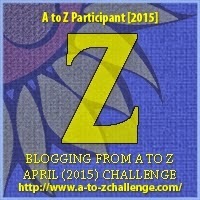 Congratulations on completing the A to Z blogging challenge! Don’t forget about the A to Z Reflections post coming up in May. LOL...you managed to pack lots of Z's into that post. Well done and congrats on finishing. Hope to continue to see you after the challenge is over. 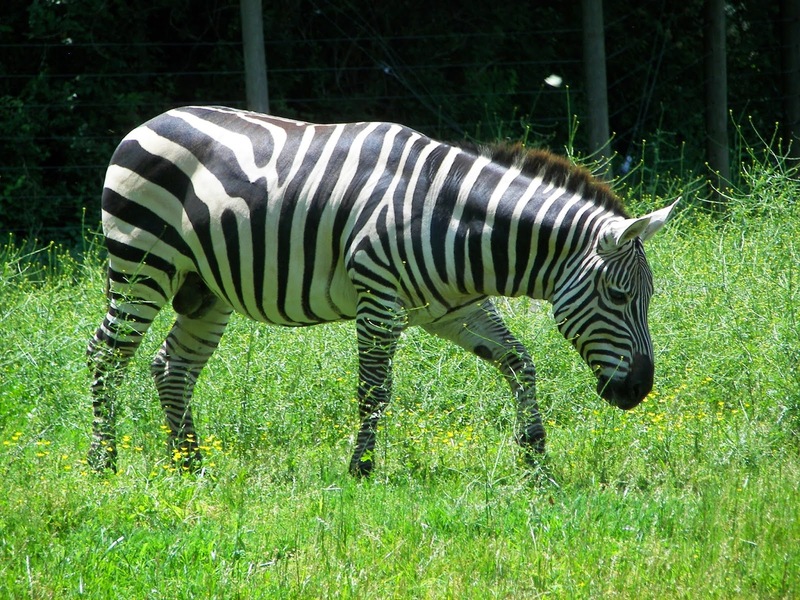 You know, that zebra looks like his stripes are drawn on with a Sharpie. Just so crisp and organized. I just keep looking at it. Loved the story; if you shared it on your blog before, I don't remember it :) So cute with all the Z's and so glad they are working together on the project with ideas. Congrats!!! Another challenge down! To next year! I'm stopping by from the A to Z Challenge and just wanted to let you know about our party. The A to Z Reflections Linky List will open on Monday May 4th, and you're more than welcome to join.